Early morning reports state that the internet has seen some stoppages and speculation is it's tied to tomorrow's election. 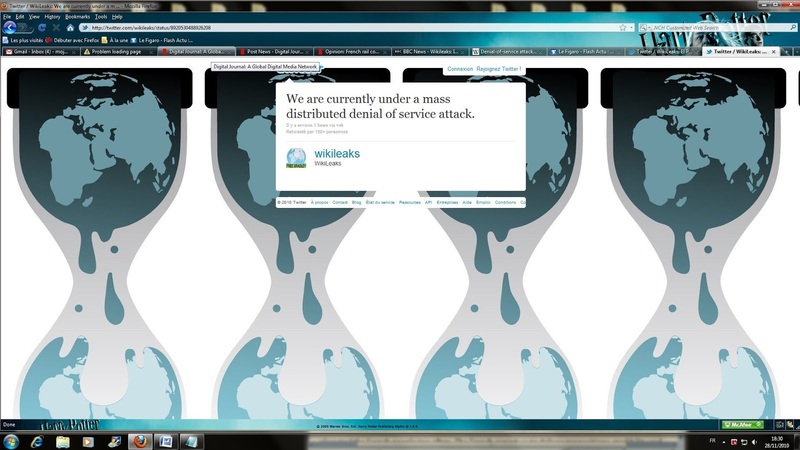 Twitter had been reportedly down for an unknown amount of time earlier with no explanation and WikiLeaks suffered a denial of service attack. Last night WikiLeaks issued another release of 8,000 emails connected to the Democratic National Committee (DNC). Some of the revelations show coordination between CNN and the DNC. Questions were requested by CNN to be submitted by the DNC used in an interview with Donald Trump among other Republican candidate interviews. Both on air personalities Wolf Blitzer and Jake Tappper were caught in the latest media collusion scandal. The Hillary Clinton communications manager Jennifer Palmieri issued a statement yesterday saying if troubling information were released to assume "it's probably a fake." WikiLeaks responded saying its track record was 100% accurate. Should the US internet go down, MSV will host discussion 6:30 pm on that and any succeeding day at Maxwell's.